1 Still recovering from the Second Balkan War, Bulgaria declared its neutrality in World War I on 29 September 1914. The kingdom's position was crucial for the Central Powers after Russia declared war on the Ottoman Empire in November 1914. Bulgaria was the key link in the Berlin-Baghdad Railway, by which Germany supplied and maintained communications with Turkey. Both the Allies and Central Powers began to court Sofia in attempts to entice the Bulgarians into their respective camps. Austria-Hungary's inability to eliminate Serbia by December 1914 increased Bulgaria's value to the Central Powers. The Allies' failure to force the Dardanelles in February 1915 did not enhance their position with the Bulgarians. Bulgaria was primarily interested in Serbian territory, especially Macedonia, which it had lost in the Treaty of Bucharest of 1913. In September 1915, the Bulgarians threw in their lot with Germany and Austria-Hungary by concluding an alliance. On October 6, the great Austro-German offensive began against Serbia and Bulgaria declared war on Belgrade eight days later. Bulgarian troops spilled over Serbia's eastern border, and an Anglo-French landing at Salonika in Greece failed to blunt the Bulgarian advance. By December 1915, the Serbian Army had collapsed and was in full flight. The Bulgarians established a defensive line to contain the Allied forces in northern Greece. 5 Serbian and Romanian prisoners faced an even bleaker situation. The Serb POWs at Philippopolis were "a broken, spiritless wreck of humanity, clothed in filthy rags, and it is a marvel that any of them survived the winter [of 1917-1918]," wrote one observer. The only food the Serbs received each day was 300 grams of black bread and a small amount of soup, composed mostly of water and little else. They did not receive food parcels from home, and they did not have the resources to form regimental messes. Serbian women who became refugees in Bulgaria turned to prostitution to feed their children, and as a result were beaten for moral offenses. 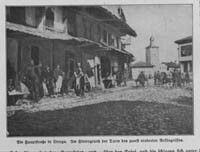 The death rate from starvation and cruelty during the winter of 1917-1918 was appalling at Philippopolis: of the one hundred thousand Serbs interned in Bulgaria during the war, only fifty-three thousand were alive in November 1918. At the prison camp at Haskovo, three thousand of the eight thousand Serbian POWs died during the war. 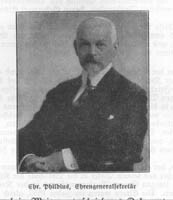 10 Phildius negotiated a general POW plan with the Bulgarian government after his inspection tour. In Sofia, the YMCA planned to set up operations in three prison camps that housed a total of twenty thousand Serbian, Romanian, Russian, English, French, and Italian POWs. At two of these camps, the Red Triangle agreed to build a hut to serve prisoners, guards, and Bulgarian officers. 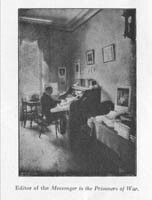 At the third camp, the commandant provided several rooms to be converted to YMCA use. 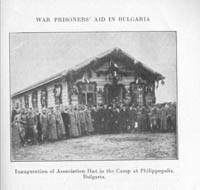 At Philippopolis, the Red Triangle planned to erect two huts for the 5,200 prisoners (including forty-eight Serbian, British, and French officers). 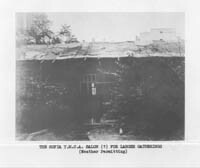 The first hut would be set up like the two huts in the Sofia prisons. Camp officials at Philippopolis pleaded that a second hut be constructed to serve as an infirmary. This hut would accommodate fifty sick and convalescent prisoners. 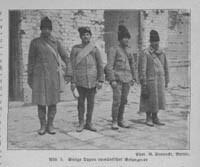 In spite of the terrible conditions found in Bulgaria during the First World War, the YMCA was able to establish an effective War Prisoners' Aid program in the kingdom. The International Committee in New York and the World's Alliance in Geneva cooperated to provide the funding needed to construct or modify Association halls in most Bulgarian prison camps and the manpower to implement programming and services. The Red Triangle's success in Bulgaria can be attributed to three important factors. 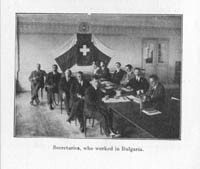 First, by the time Bulgaria entered the war in October 1915, the Association had gained considerable experience in establishing and extending WPA services to prisoners of war. As a result, the YMCA had a successful welfare program that could easily be adapted to the kingdom's situation. Second, the POW problem in Bulgaria was not as acute as in other belligerent nations in terms of the number of prisoners that needed to be served. While the Bulgarians had incarcerated a considerable number of Serbian and Romanian POWs, these numbers did not reach the millions of prisoners held in Germany or in Austria-Hungary. 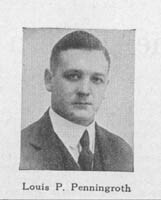 As a result, a small number of Association secretaries could address the needs of a far larger percentage of war prisoners. Finally, the situation in Bulgaria was so bad that the government was eager to allow foreign relief services to Allied prisoners. Bulgaria had suffered through two wars within three years before the government joined the Central Powers in 1915, and the country simply lacked the resources to provide support for a new group of prisoners. 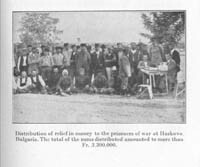 The Association's offer to provide relief services to Allied POWs helped the Bulgarian government meet its international legal obligations and, due to the Principle of Reciprocity, benefited Bulgarian prisoners held by the Allies.